WASHINGTON, Feb. 24, 2011 /PRNewswire-USNewswire/ -- With Cuba and its foreign partners preparing to drill for oil in the Gulf of Mexico, the U.S. embargo prohibits American companies from joining Cuba in efforts to extract offshore resources, denies Cuba access to U.S. equipment for drilling and environmental protection, ties the U.S. government's hands, leaving it unable to plan adequately for a potential spill, and puts our coastal assets at great peril. These are among the findings contained in a report, "As Cuba plans to drill in the Gulf of Mexico, U.S. policy poses needless risks to our national interest," released today by the Center for Democracy in the Americas (CDA). 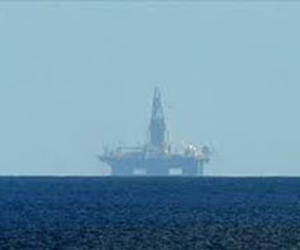 "While finding oil in commercially viable amounts will be transformative for Cuba in the coming years, the challenges facing the U.S. begin as soon as the first drill bit penetrates the sea bed in the Gulf," said Sarah Stephens, CDA's executive director. "After living through the BP spill, we can't maintain the illusion that the embargo will stop Cuba from drilling and must instead adopt policies that protect U.S. economic, environmental, and foreign policy interests." CDA led a delegation of energy and environmental experts on a visit to the island last year. We interviewed Cuban officials with responsibility for foreign investment, energy, environment, and foreign relations; visited Cuban oil facilities; and spoke to foreign diplomats and others who are observing Cuba's energy program. CDA also consulted broadly in the U.S. with industry, energy, environment, foreign policy, and sanctions experts. 1. Licensing: The Obama administration should aggressively and comprehensively use its licensing authority to ensure the right firms with the best equipment and expertise are in place to fight the effects of a potential spill. 2. Enforcement: OFAC, the Treasury Department office that administers and enforces trade sanctions, should make it clear that efforts to protect drilling safety by U.S. entities will not face negative regulatory consequences. 3. Information sharing: The U.S. should ensure that comprehensive information-sharing with Cuba's government is standard, conducted openly where possible, and without impediments in areas such as granting visas for Cuban scientists and officials to visit the U.S.
4. Bilateral relations: The U.S. should enter direct government-to-government discussions with Cuba on energy and environmental cooperation. 5. Cooperation: The U.S. should look to existing models for bilateral (such as MEXUS) and trilateral cooperation (as proposed by the Presidential Commission on the BP Oil Spill). 6. New authority: Legislation introduced last year by Senators Lisa Murkowski (R-AK) and Mary Landrieu (D-LA), and Rep. Jeff Flake (R-AZ) would allow U.S. firms to participate in oil exploration and effective crisis planning with Cuba. 7. Cuba's economy: U.S. policy should reflect that an economically stable Cuba best serves the U.S. national interest. 8. Cuba's energy mix: The U.S. should encourage Cuba to be energy independent in light of the strategic and political risks associated with Cuba's continued dependence on foreign oil. 9. Cuba in the region: The U.S. should welcome Cuba's potential impact on the regional energy market. 10. Cuba's sovereignty: U.S. policy toward Cuba should no longer be predicated on Cuba failing. "We cannot stop Cuba from drilling," Ms. Stephens said, "as some in Florida's Congressional delegation propose, and the risks of inaction are far too great. Instead, our report recommends vital and effective actions to protect the national interest and our irreplaceable coastal resources." The Center for Democracy in the Americas is devoted to changing U.S. policy toward the countries of the Americas by basing our relations on mutual respect, fostering dialogue with those governments and movements with which U.S. policy is at odds, and recognizing positive trends in democracy and governance. The CDA report is part of its 21st Century Cuba series supported by a grant from the Ford Foundation. Copies have been provided to officials in the U.S. Congress and the executive branch.